One of the two Airbus A380's painted into the special SG50 paint scheme. Singapore Airlines Image. ￼￼￼￼￼￼￼￼￼￼￼￼￼￼￼￼￼￼￼￼￼￼￼￼￼￼￼￼￼￼￼￼￼￼￼￼￼￼￼￼￼￼￼￼￼￼￼￼￼￼￼￼￼￼￼￼￼￼￼￼￼￼￼￼￼￼￼￼￼￼￼￼￼￼￼￼￼￼￼￼￼￼￼￼￼￼￼￼￼￼￼￼￼￼￼￼￼￼￼￼￼￼￼￼￼￼￼￼￼￼￼￼￼￼￼￼￼￼￼￼￼￼￼￼￼￼￼￼￼￼￼￼￼￼￼￼￼￼￼￼￼￼￼￼￼￼￼￼￼￼￼￼￼￼￼￼￼￼￼￼￼￼￼￼￼￼￼￼￼￼￼￼￼￼￼￼￼￼￼￼￼￼￼￼￼￼￼￼￼￼￼￼￼￼￼￼￼￼￼￼￼￼￼￼￼￼￼￼￼￼￼￼￼￼￼￼￼￼￼￼￼￼￼￼￼￼￼￼￼￼￼￼￼￼￼￼￼￼￼￼￼￼￼￼￼￼￼￼￼￼￼￼￼￼￼￼￼￼￼Singapore Airlines has painted two of it’s Airbus A380’s in a special livery for the island nations Golden Jubilee celebration. 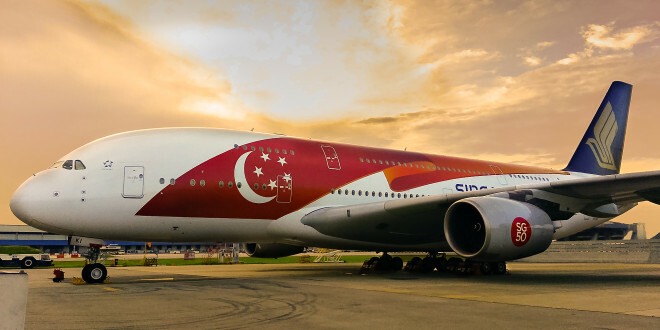 The livery features the Singapore flag on both sides of the aircraft and the official SG50 logo on the two inboard engines. 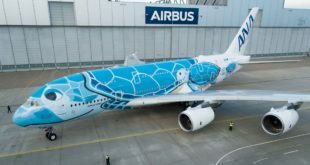 The first aircraft in the special scheme is 9V-SKI is expected to be in service from early June while the second special scheme A380 will join it in July. Both aircraft will wear the scheme till the end of 2015. 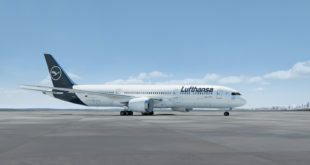 The airline will also sell 1:200 and 1:100 scale models of the special livery from July onwards via the Krisshop. Aside from the special scheme the airline is organizing a variety of initiatives for SG50. A three hour A380 charity flight is being planned on the 29th of May. The airline is organizing an art competition and an open house of the airline’s training facility on the 25th of July. 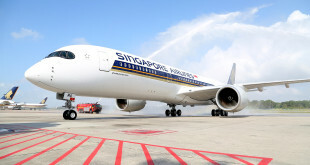 The airline is also offering discounts on KrisFlyer redemptions and a lucky draw of 50 flight tickets for passengers who book and fly on Singapore Airlines or Silk Air flights from the 18th of May till the 31st of July. 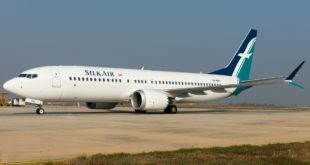 Singapore tenth to ground the Boeing 737-8 MAX. India flights unaffected.